Of my many linguistic obsessions, collective nouns are near the top of the list. In case you're not as nerdy as me, collective nouns are the names given to groups of people or things. 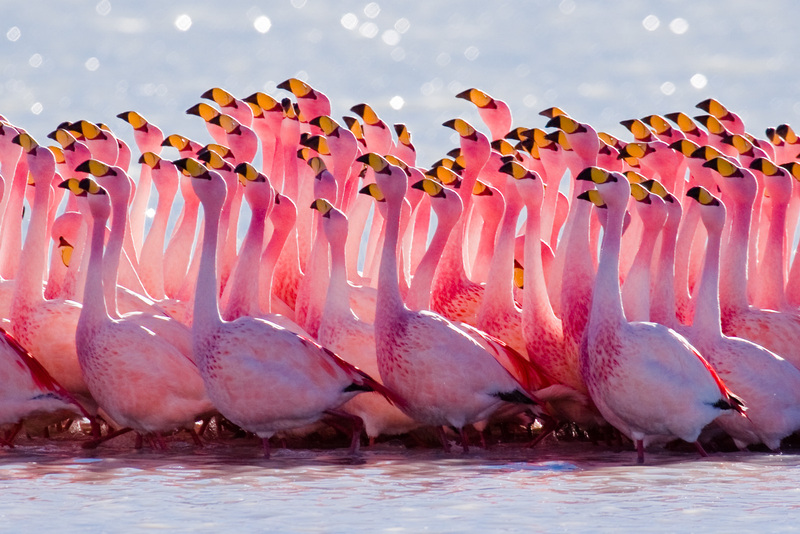 "Herd of elephants," "school of fish," "pride of lions," and "flock of birds" are some common examples. One of the best things about collective nouns is that they arise organically. There's no governing body that dictates how and when the English language should grow and evolve - it simply does and always has. Collective nouns are part of that growth. Some have been around for centuries, while new versions and additions emerge regularly, as they're needed. This is why there are sometimes multiple collectives assigned to a group. For example, a group of cats can be referred to as a cluster, a glaring, or a pounce - it's up to you (and, possibly, the cats). I can go months without thinking too hard about collectives. Then one morning, I'll write a scene with a group of pelicans. I'll wonder what to call that group, stop writing in order to look it up, and discover that the correct term is "squadron." This will be so delightful that I'll look up more birds, and learn that at the beach you might also encounter a flotilla of seagulls, or - and this is where the English language gets really generous with its gifts - a flamboyance of flamingos. Once I start looking up collectives I can't stop, and suddenly I'm late for work and I've only written three sentences, one of which is, "a squadron of pelicans flew over them." Worth it. Since that squadron of pelicans, I've been more obsessed than usual with collectives. Here are some of the my personal favorites. A party of rainbow fish.